Yes, Alien is back with enough baby Aliens, face huggers, and exploding stomachs to excite the fans of the series, while the rest of us are once more totally bewildered how these humans are so horrendously incompetent. This theme of stupidity was my biggest grievance with Prometheus, the previous film in this series, because besides its refusal to answer a single question, choosing instead to further shroud us in mystery, the film showcased a crew of scientists who were, for the most part, incapable of doing their jobs. I will never forget for example the map reading character who managed to get lost despite being the one to create the very map he was reading. 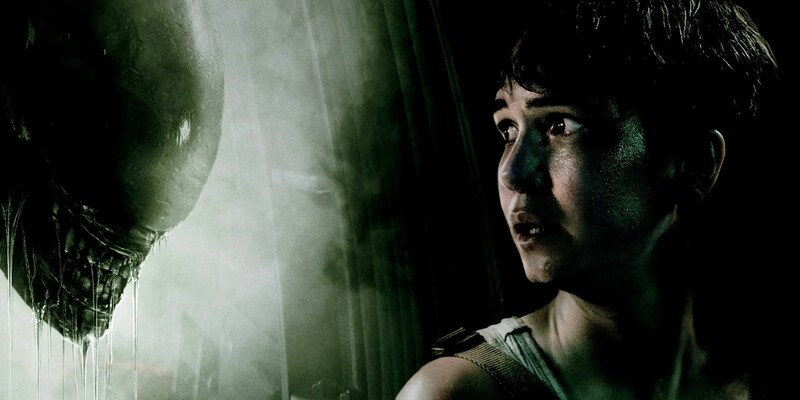 Covenant continues this theme of moronic humans, with Daniels (Katherine Waterston), Upworth (Callie Hernandez) and Ricks (Jussie Smollett) appearing to be the only human characters with a measure of common sense. Covenant is a colonial ship with engineers, scientists, and militarily personal aboard its long voyage, and yet not one of them appears to have been trained in ‘How to approach an alien planet 101’. To clarify, separating as a group, carelessly walking through woods only to accidentally step on aliens, poking totally unknown substances and placing your face over mysterious pods, are not intelligent moves. In fact, there is even a line in the film that mentions their training, yet there is little evidence to support this statement. Sadly, nearly all these human errors occur because they are the hit songs to the Alien greatest hits playlist, meaning the script is tailored to making sure these moments happen rather than creating plausible scenarios, in other words, lazy writing. What is clear from both films is that both crews should be used as a litmus test for the character profiles, ensuring the no one who has any these traits is sent into space. Having said that, if you can move past the staggering levels of human incompetence, what you will find is entertainment, thrills, and a film I much prefer to its predecessor. There is a substantial difference in the caliber of material between the humans and the rest of the components of this film, such as the Aliens, set design, the synthetics, and tone, and once you focus on these elements the film becomes as creepy as it is beautifully designed. To clarify when I say beautifully designed I am not refereeing to the actual aliens themselves because as masterful as H.R. Giger was, beautiful is certainly not the word to use. Instead, I refer to the design of the ship, with one scene near the start where the Covenant is deploying its recharge sails, that is a beautifully designed. I also refer to a long shot devoted to a long-dead society clearly frozen in time, with the combination of the green lasers against the black backdrop which occasionally highlight the figure of a ‘statue’ is impressive. Sadly, there are moments of very poor CGI, and though these moments are fleeting they are still quite jarring. The film opens with further insight into the relationship between the synthetic David and his creator, Waylon (Guy Pearce). It’s a relationship that is frustratingly teased through conversations in both Prometheus and Covenant. In Covenant, it has at least developed to include subjects such as creationism, existentialism, and the free will of A.I. These moments are quite clearly designed by director and creator Ridley Scott to indicate how this series will progress, and whilst they are very interesting and well designed, it places the rest of the film at a disadvantage as it doesn’t quite match the tone or rhythm, baring a scene mid-way through the film. In fact, I would happily sit through an entire film devoted to the many Fassbender characters with Guy Pearce’s character being given a much larger role. This time Fassbender plays both the long-lost David from Prometheus and the new synthetic on the Covenant crew called Walter. David, you may remember, was left stranded with Dr. Elizabeth Shaw on the planet in the previous film and since then he’s spent the last ten years becoming a mad scientist. Fassbender playing off himself is mesmerising and he does a fantastic job of raising the level of tension for the film. In one moment David stands with the Alien, a horrific monster that is born from violence and lives to slaughter, and yet it is Fassbender who vividly creates the unnerving horror and tension felt in the room. 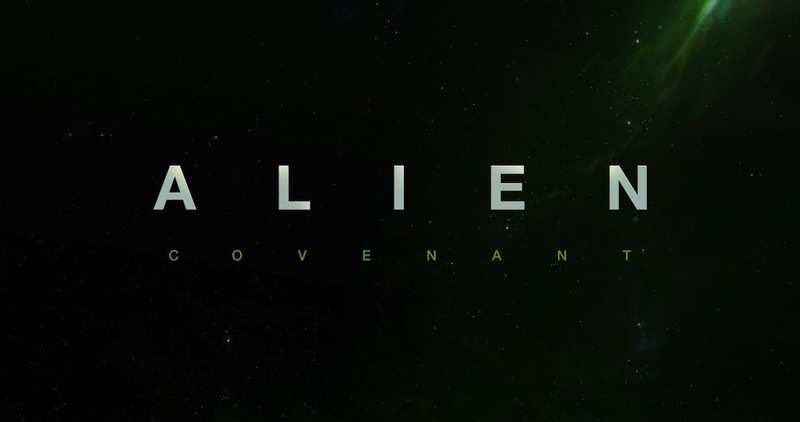 Covenant offers something much more intriguing and entertaining, if only because Fassbender and Waterston make it so, because although the Aliens are thankfully more prominent this time, I do feel we have become somewhat desensitised to CGI horror, no matter how good it is. The Alien formula does need to be tweaked in future, with more focus perhaps on David’s plan which continues to linger in the background without much explanation into his mad scientist ways. OVERALL *** A solid Alien film and one I much preferred to its predecessor, if only because of Fassbender and Waterston. RECOMMENDATION- I suspect if you’re involved with this series then you will watch this next installment regardless of my advice, because if you’re coming to this as brand new to the Alien series, you are I’m afraid quite as lost as the map reader in Prometheus.